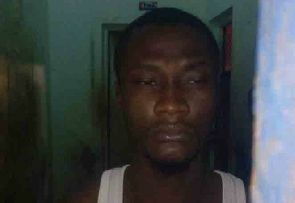 Nana Kwame, said to be a notorious armed robber and on the police wanted list for allegedly masterminding a series of armed robbery attacks in Accra, has been arrested. According to the police, he was ‘smoked out’ of his hide out at Obo Kwahu in the Eastern Region on Wednesday March 7, 2018. The 30-year-old suspect was arrested by the Obo Kwahu District police and handed over to the Eastern Regional Police Command in Koforidua. The Public Relations Officer of the Eastern Regional Police Command, Assistant Superintendent of Police (ASP), Mr Ebenezer Tetteh who disclosed this to Graphic Online said the suspect would be handed over to the Accra Police Command for further investigations. ASP Tetteh, said the police in the region was on high alert to ensure that all those who threatened the peace and safety of people were arrested. In another development, the Tease District Police has arrested a suspected armed robber, Abu Musah, who allegedly attacked a 25-year-old farmer, Emmanuel Agbeko, at Ekye Amanfrom. Suspect Abu Musah, and his accomplice who is currently on the run according to ASP Tetteh attacked Agbeko on the highway near the Glory Oil Filling Station at Ekye Amanfrom, during which they took away his Apsonic motorbike which he was riding at the time. According to ASP Tetteh, Mr Agbeko was moving to Gallonmainu from Ekye Amanfrom when he was accosted by two Fulani men on a motorbike holding a cutlass and a knife. “They threatened him with the cutlass and knife and snatched his newly bought unregistered Apsonic motorbike”, he stated. “A distress call was received by the Tease Police who chased and met the two robbers on two motorbikes, one of which happened to be the victim’s motorbike, an unregistered Apsonic Fleche 2 motorbike”, he added. ASP Tetteh said they were heading for Donkorkrom when they were arrested. “One of them not yet identified escaped but Abu Musah was arrested. The two motorbikes were consequently impounded and are with the Tease District Police. He appealed to the public to volunteer information on people they suspect have something to do with armed robbery attacks in the region so they would be apprehended.